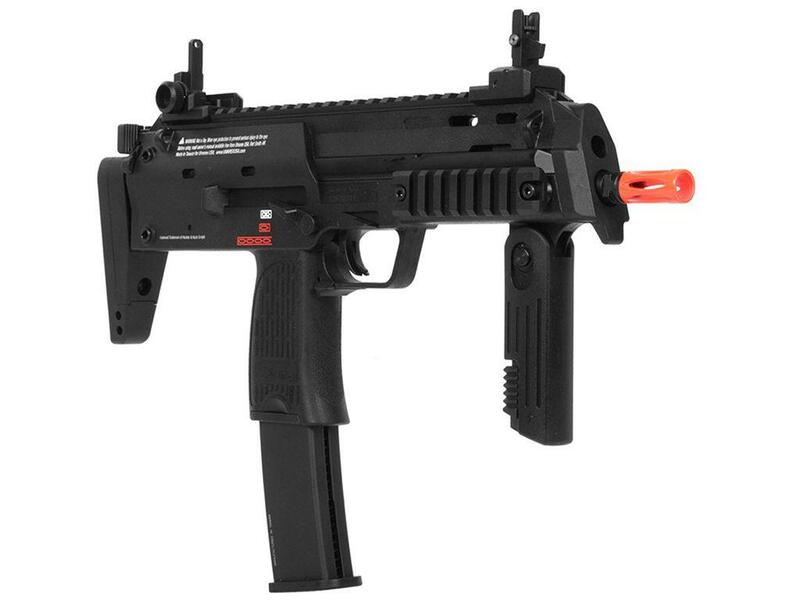 Umarex H&K MP7 Gas Blowback Airsoft SMG | ReplicaAirguns.ca | New Website! 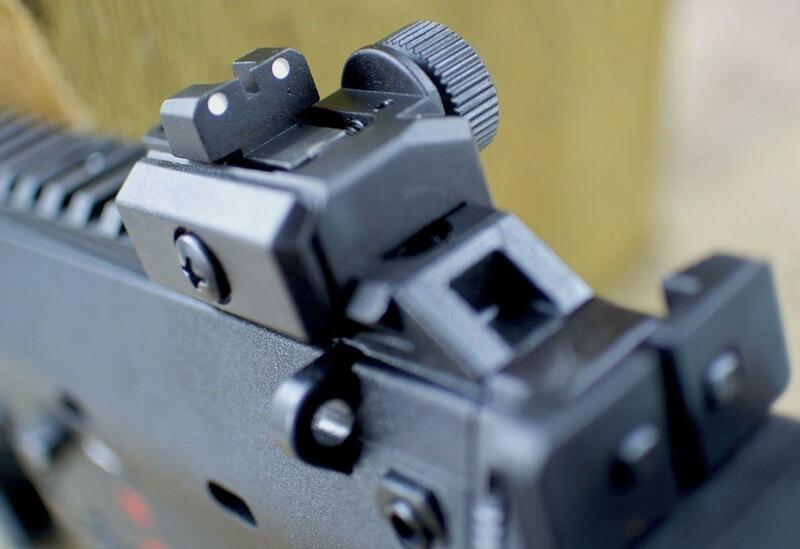 Trigger Pull: The trigger pull on the Umarex H&K MP7 is single action only as the charging handle has to be pulled back to open and release the bolt for the first shot fired. 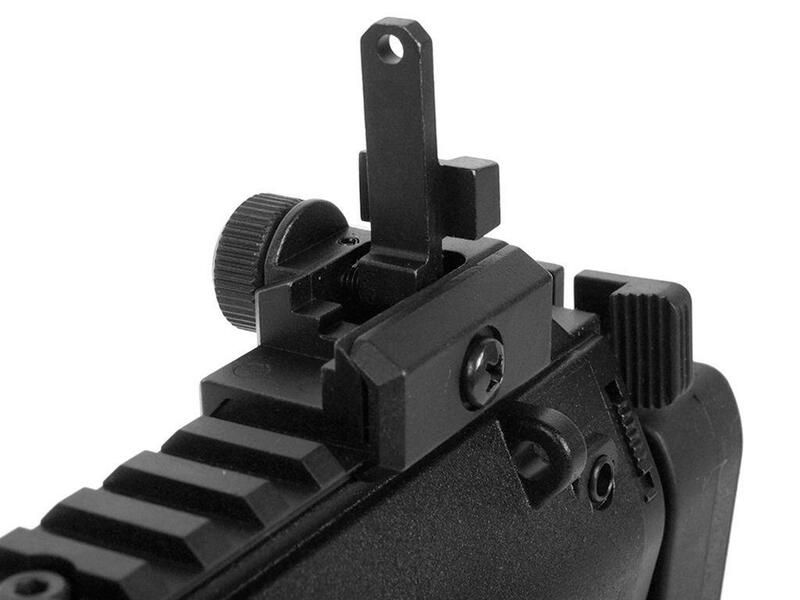 There is a trigger safety that must be engaged to fire, but it is not noticeable when shooting this airsoft PDW. There is a short take-up and then a nice light release and short reset. Accuracy: I was able to get decent accuracy in both semi-auto and full-auto burst due to the mild to medium blowback. I would say I shot somewhere between a 2-3 inch spread with my 10 shot grouping from 20 feet out. I did get a bit higher then the claimed muzzle velocity, right up into the 400 FPS range. 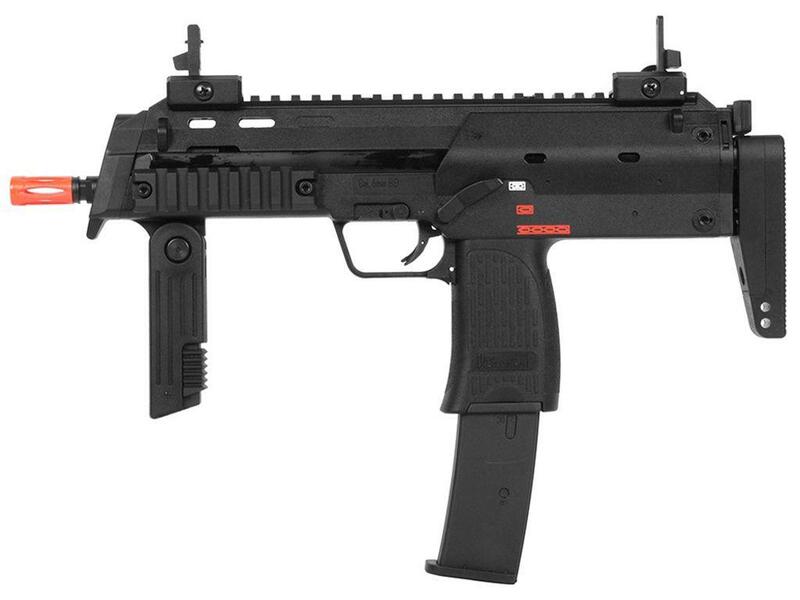 Build Quality: This gun is built extremely well, using near exact components that you would find on the real HK MP7. 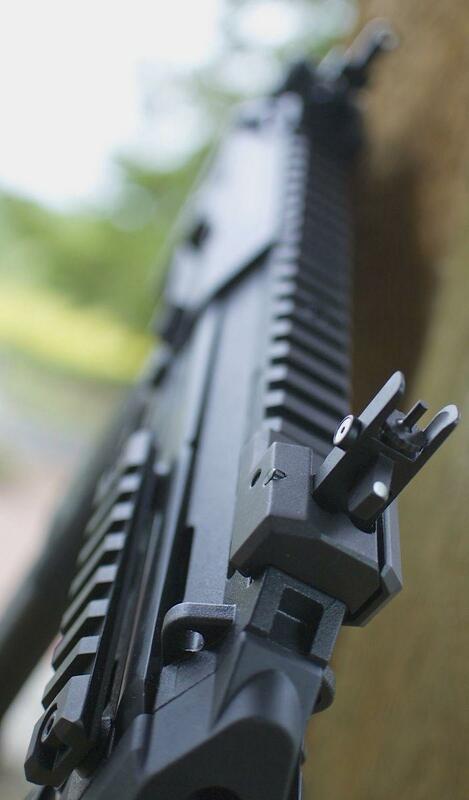 It has a polymer shell, but that is also what you would find on the 4.6mm x 30 real steel version. 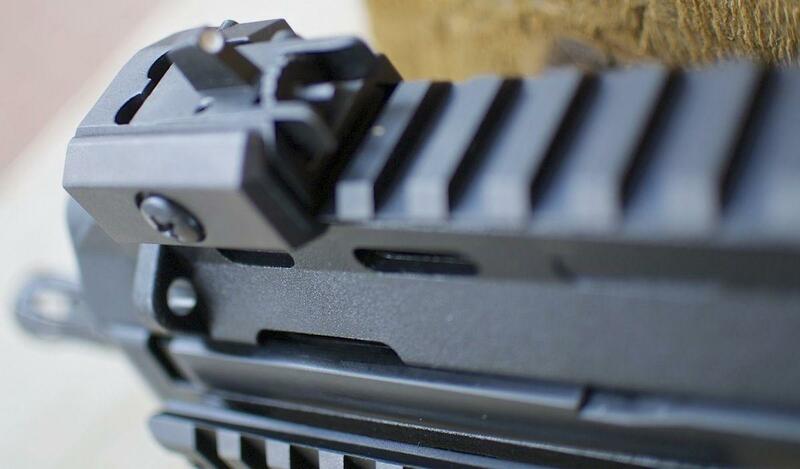 It uses metal where needed, like in the internal housing, pins, bolt, barrel, rails and even the magazine. 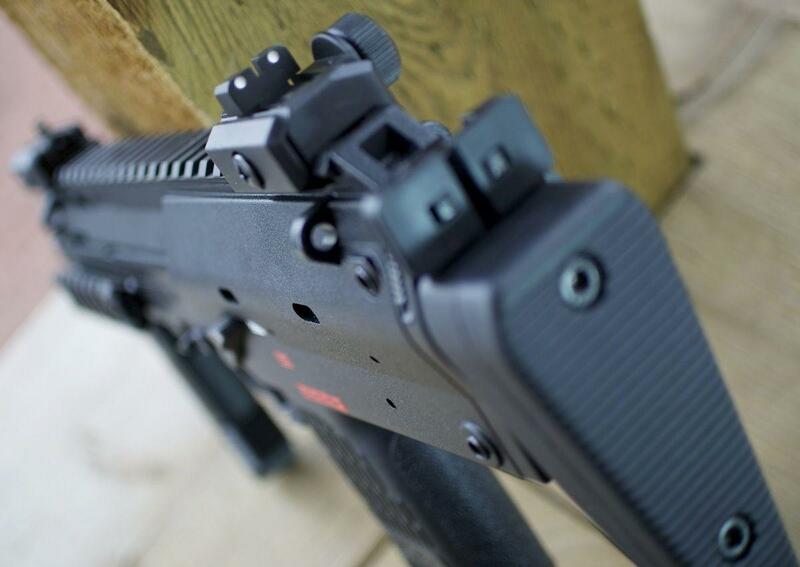 The fit and finish is bang on, this gun is as solid as they come! 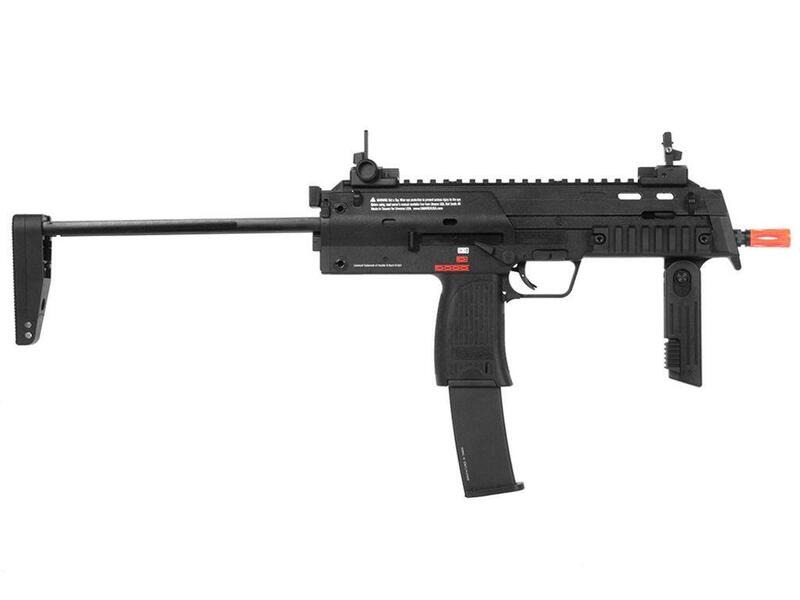 Realism: I have to say the Umarex H&K MP7 is pretty much a bang on copy of the real thing. 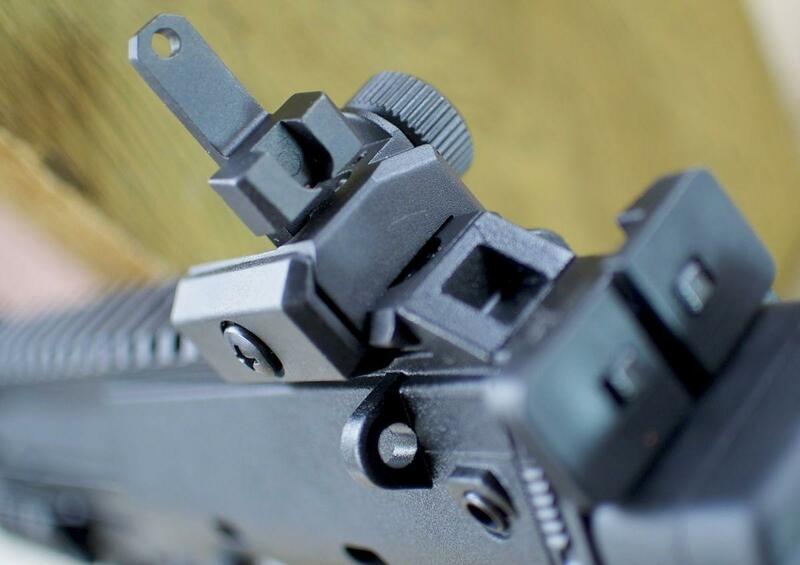 The only telltale sign is the Umarex branding and warning label on the right side receiver, even the 6mm caliber markings are near impossible to make out on the underside right beside the serial number plate. 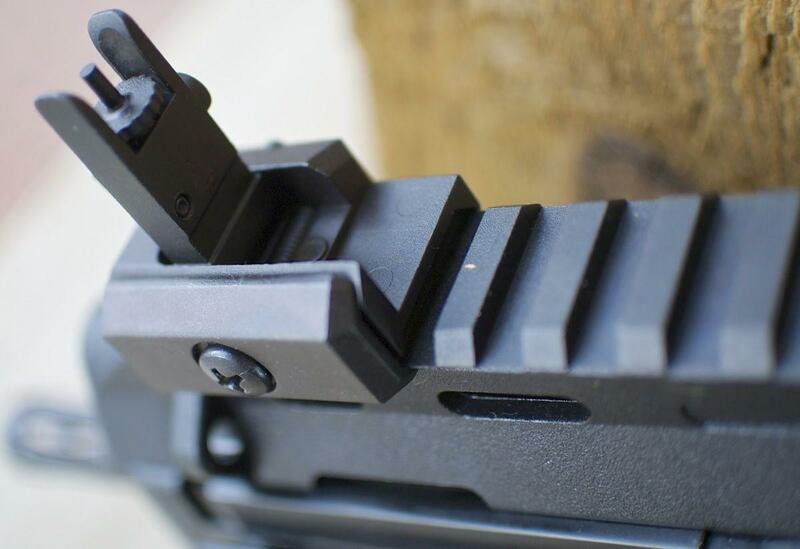 Of course the red flash hider is a big "red flag" that takes away form the realism but for us here in Canada, a bit of black paint is all that is needed to fix that problem. Comes with the orange tip, you may want to paint it (hard to get off as it is glued on). 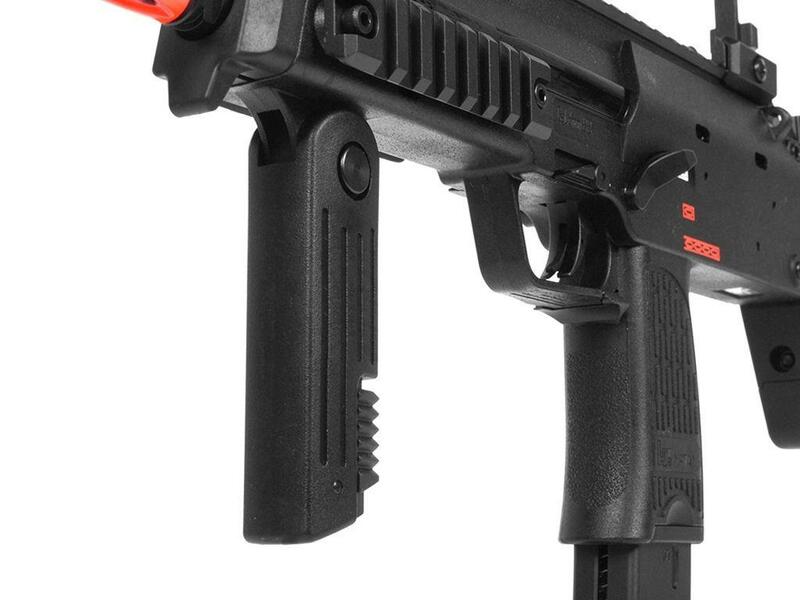 Comments: I really like the Umarex H&K MP7 Airsoft PDW, it's my kind of airsoft gun! 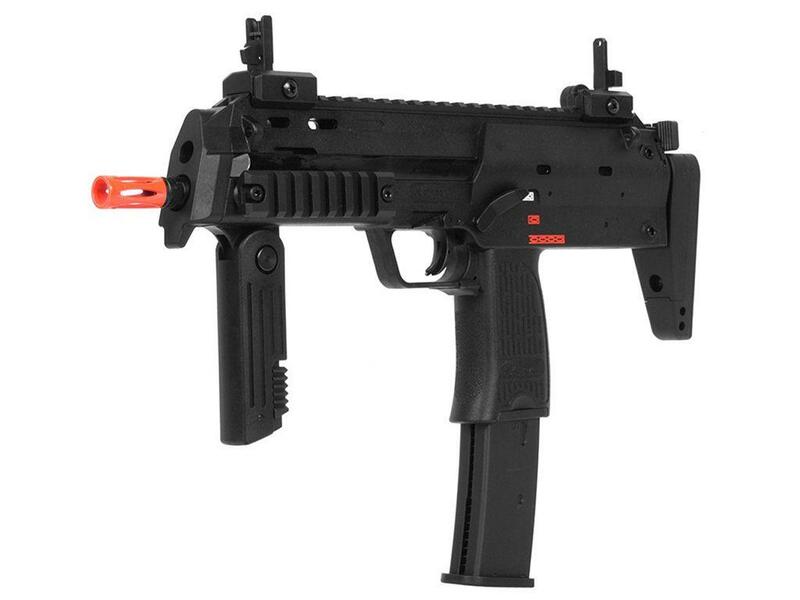 I love the modern look, I love the features and the price is also really good for what you are getting here—a GBB gun that is super versatile and can be used up close or at a range. 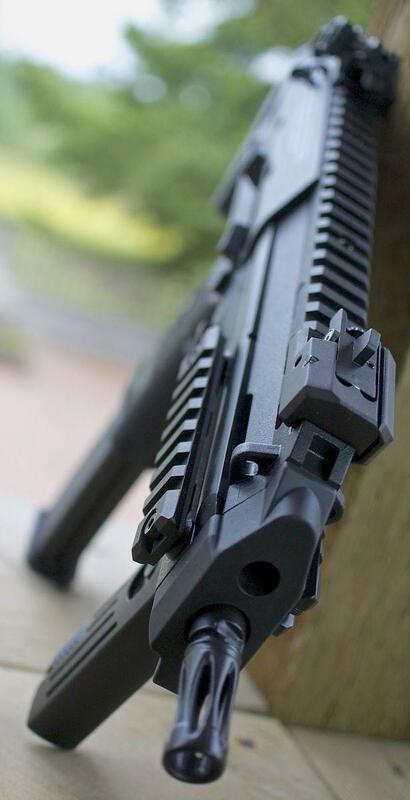 The build quality is what impressed me the most, this airsoft gun is super solid. 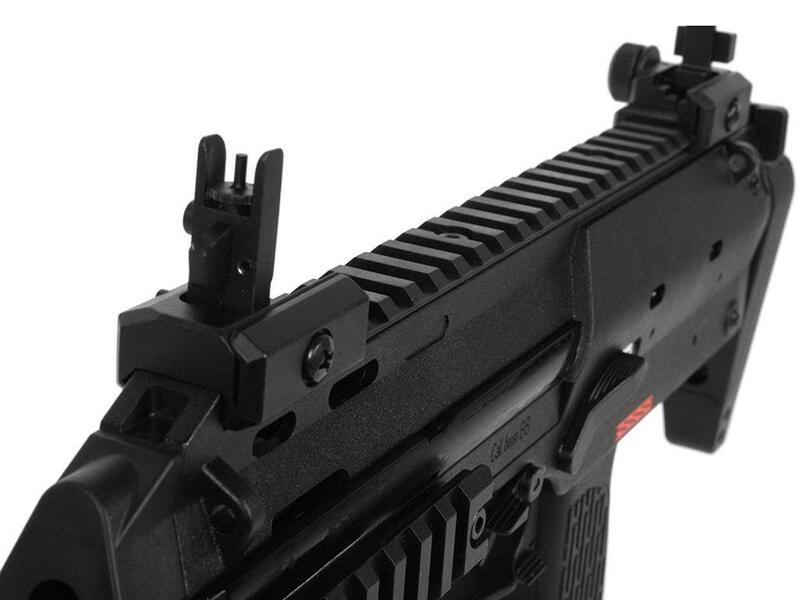 http://www.ReplicaAirguns.com - Umarex - KWA HK MP7 A1 GBB Airsoft PDW Field Test Shooting Review. - GBB Semi and Full Auto SAO.